Certain parts on your Volkswagen, such as brakes, suspension and trim, require specific identification through what is known as a PR Code. 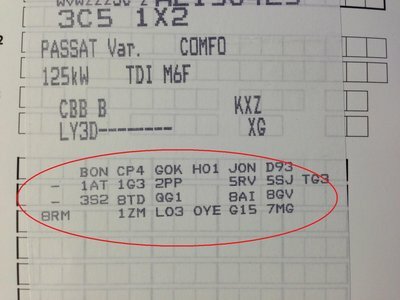 These codes will tell us exactly which option was fitted to your vehicle when it left the factory and will help us give you an accurate price of the part you require. These can be found on the data sticker in the service book or on the body of the vehicle, usually in the boot under the carpet where the spare wheel is stored. The data sticker will contain all the information about your vehicle such as colour code, engine and transmission codes and PR codes. The data sticker will be layed out with the PR codes in the lower half of the sticker which contain 3 characters comprising of letters and numbers. An example of a PR code is 1KY which refers to the vehicles rear brakes, this could also be 1KV or 1KZ and many more. 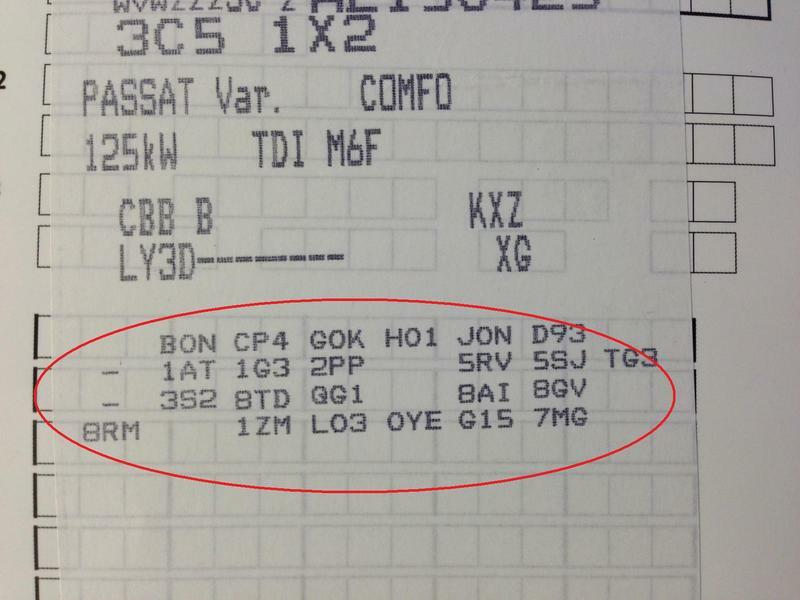 It is important to get the right code from your vehicle to help identify the part required.